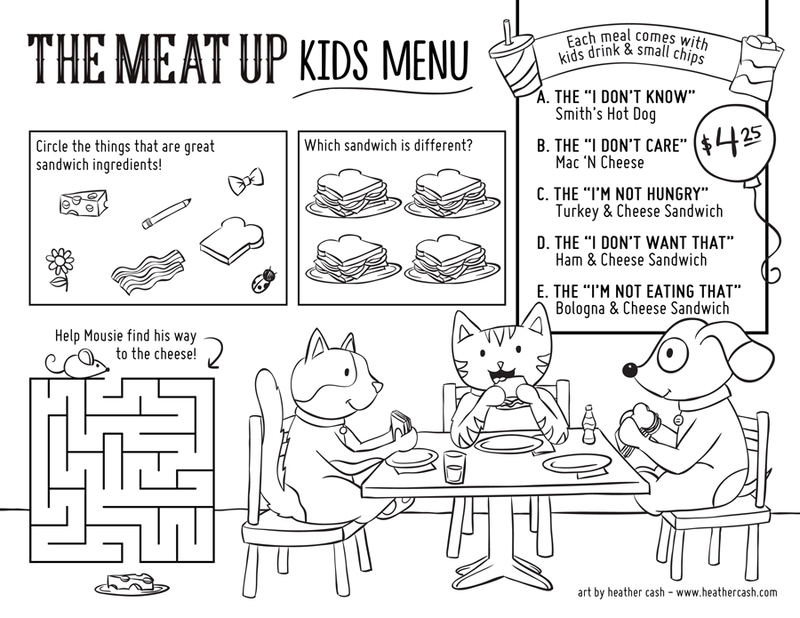 In September of 2018, in addition to creating three large chalkboard menus for The Meat Up (Fairview, PA), I also created a kids’ menu / coloring page. This was such a fun project! I decided to draw cats and a dog eating sandwiches at a table just like the tables in the restaurant. The games have an overall sandwich theme – I included a mouse-to-cheese maze, a “Which sandwich is different” challenge, and a series of items with instructions to circle the things that are great sandwich ingredients.